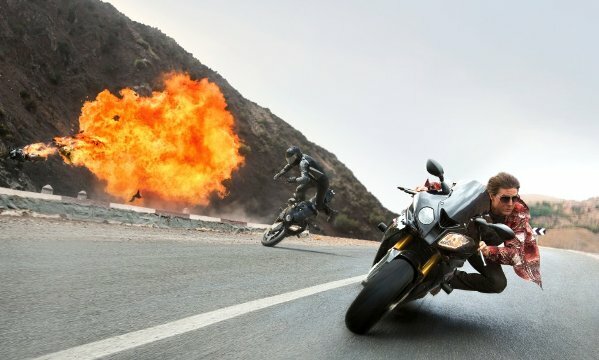 Where the previous instalments of Mission: Impossible had action and all the elements of a good movie, Rogue Nation, on the other hand, has everything that compels you to keep your attention on the screen. With a collection of breath-taking stunts shot from different camera angles, you feel like riding the storm with Tom Cruise himself. Do you remember the famous leap Cruise takes between the two floors of Burj Khalifa in Ghost Protocol? That is nothing as compared to what Cruise does in Rogue Nation. The year 2015 has seen the release of many action movies so far, but Rogue Nation is perhaps the most enthralling one of the year that also surpasses all Mission: Impossible prequels. In short, Cruise has outdone himself this time. 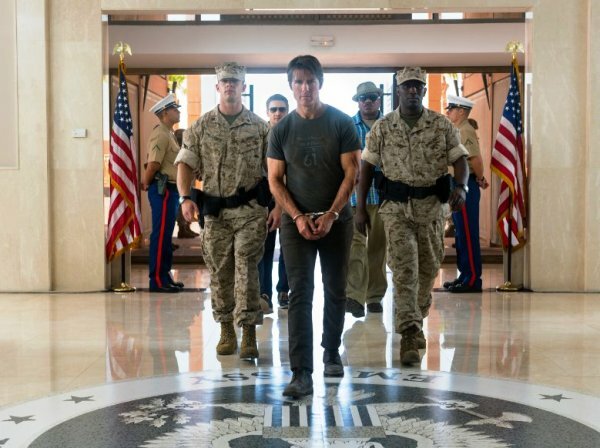 In the latest sequel, Ethan Hunt (Cruise) is fighting against Syndicate, a criminal organisation trying to end Hunt and his Impossible Mission Force (IMF). Hunt is trying to find the reason behind Syndicate’s animosity towards IMF, and in an unorthodox manner, which only Hunt can do, he tries to bring down Syndicate. 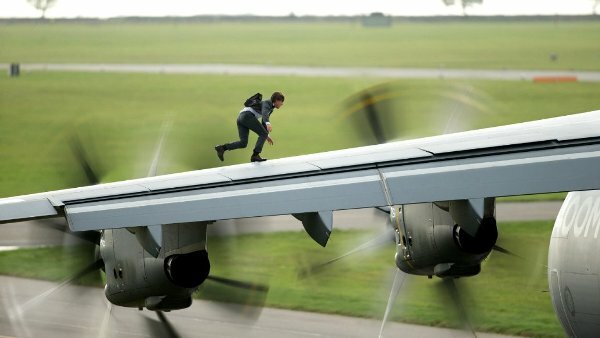 If you are a Mission: Impossible and a Cruise fan, you certainly do not want to miss the opening scenes, because in those early few minutes, Cruise’s stunt will make you question if he really is a 53-year-old? Let me give you a hint – it involves going against the gravitational pull and speed or an airplane. If you think that this aerial stunt is big, then boy are you in for a ride; rest of Cruise’s stunts will keep you on the edge of your seat and keep you adrenaline rush at a constant high throughout the movie. Hunt’s trustworthy sidekick William Brandt’s (Jeremy Renner) and his tech wizard Benji Dunn’s (Simon Pegg) on-screen synchronisation is much more evident than the prequel, and the two keep the audience entertained with their constant humour. In my opinion, Renner and Pegg should have had more comical scenes together. 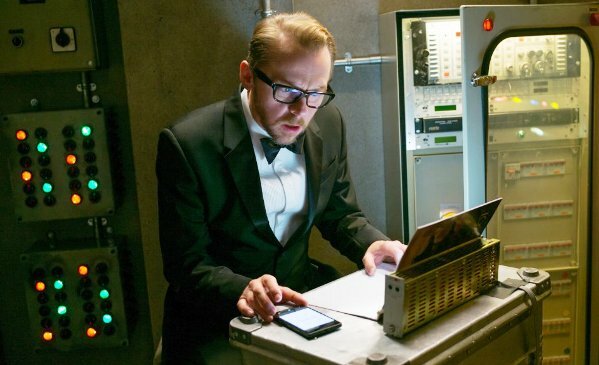 Every Mission: Impossible movie has a notorious villain and in Rogue Nation, it is Solomon Lane (Sean Harris), who somehow fails to depict that villainous appeal to his character. 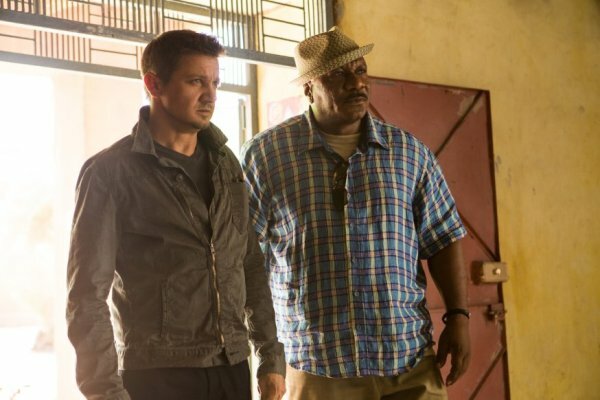 Even though casting Harris as a villain is a let-down, Cruise and Renner manage to keep the story alive. However, Ving Rhames who plays the role Luther Stickell in all Mission: Impossible movies is the only recurring cast along with Cruise. 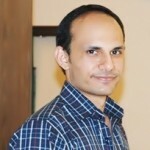 He appears in a few scenes but makes his presence felt with his entertaining dialogue delivery and facial expressions. 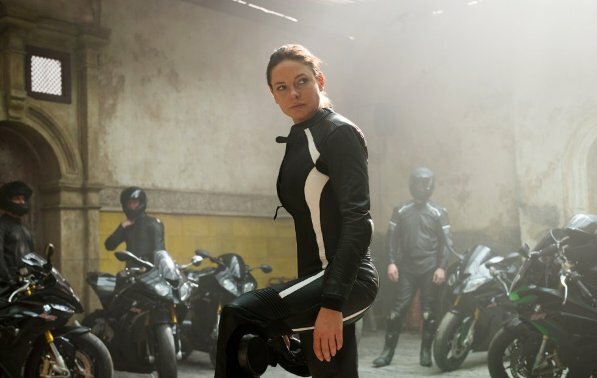 Rogue Nation also has Rebecca Ferguson as Ilsa Faust, a former MI6 agent who works for Syndicate. Interestingly, Faust fights alongside Hunt and adds a subplot into the movie where it discusses her life and career and why she joined Syndicate. Moreover, Ferguson adds energy into the movie and even when she is appearing in scenes with Hunt, the two do not steal each other’s thunder and create a story of their own. Moreover, Alec Baldwin makes an appearance as the CIA Chief Alan who wants to disband the IMF. You will be amazed to know the reasons why he wants IMF gone. He looks sleek and elegant and plays his role well. 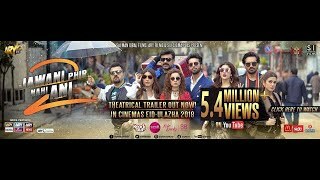 Although the movie is nearly 130 minutes long, the viewers will never feel the drag since there’s a fine balance between the action scenes and dialogues. Moreover, the scene placement and storyline keeps the audience engaged and curious as to what will happen next. If you are planning to watch Mission: Impossible – Rogue Nation, you must by any means for a few reasons. First, Rogue Nation has action and thrill from the word go; you have no idea when the action begins and to what intensity it will reach. Second, the script is exactly what the viewers would expect from the Mission Impossible franchise. 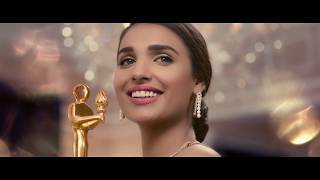 Perhaps it is the script that has kept the story so finely tuned, that it never crosses the limits or serves as a drag in the hope of keeping the viewer’s glued to the storyline. Moreover, in an age where superheroes are shining on the big screen, Cruise is also an essential member of this esteemed club with his mind-blowing stunts and charisma. 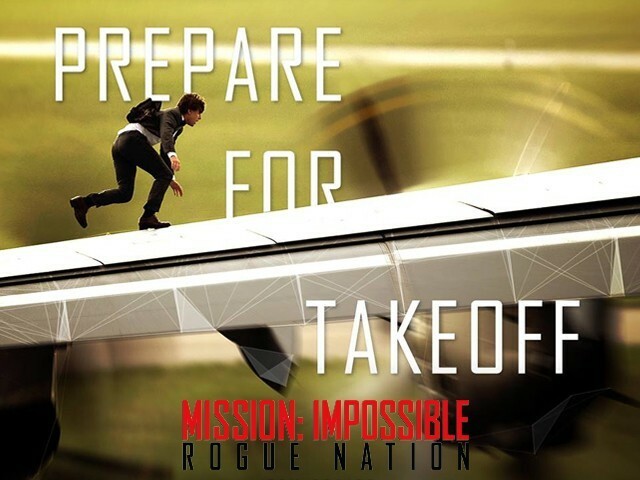 Mission: Impossible – Rogue Nation has a similar feel to that of the first prequel (1996); it compels you to keep your eyes glued to the screen, has jaw-dropping stunts, and has the same theme song that makes our hearts pump faster. 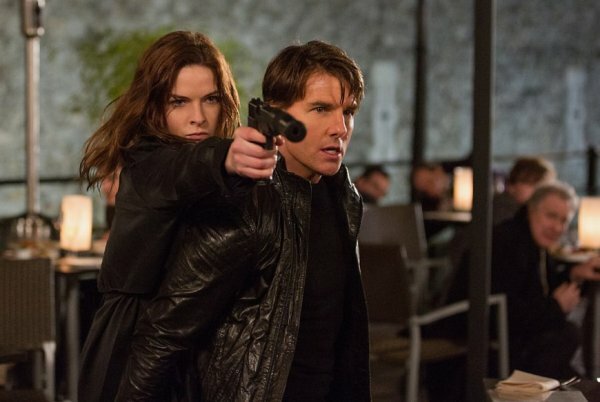 On the whole, Mission: Impossible – Rogue Nation has completed its mission.